Let me start by saying that I am not a Phanteks fanboy and that this is my first building experience using a Phanteks case. In fact I have always considered myself to be more of a Corsair fanboy. With that said; I was blown away by the Phanteks Evolv ATX case. This was one of the fastest easiest builds I have done to date! I enjoy building gaming pcs but I usually build them for customers. After the recent birth of my third son (giving me three boys ages 4 and under) I took a bit of a break from building gaming pcs. I was doing what little gaming I could on an Alienware laptop and for the most part it was enjoyable (minus the burns on my lap) but with the new GPUs coming out I knew I wanted to move back to a powerful desktop and ditch the underpowered laptop. I always enjoy playing with new stuff, as most pc builders do, and I am fortunate enough to be able to build and sell gaming pcs as a hobby. This allows me to frequently try out new components. After selling the Alienware laptop I was finally able to build a nice gaming setup for myself. This build was designed with one thing in mind; 1440p gaming. I considered getting a GTX 1080 but with no plans to game at resolutions above 1440p I decided that the 1070 was a better fit for me and that the cost savings would allow me to put some money towards aesthetics (I know… I know… as a gamer I should put my money into the GPU but I like things to look nice too). I did, however, purchase an EVGA card so if I decide I want to go with a GTX 1080 I can take advantage of their Step-up program. I went back and forth between the Corsair 400C and the Phanteks Evolv ATX but when it came down to it I really wanted to go for a more unique look with a different style and I wanted something a little bigger with more cooling options. This was my first experience with a Phanteks case and I really love how it turned out. Building in this case was very simple and pretty much effortless. I would recommend this case to anyone! The ease of my build can also be attributed to the Gigabyte motherboard because it has an awesome retaining clip ( called the "G Connector") for the front panel connectors that basically makes that part of the build very simple. 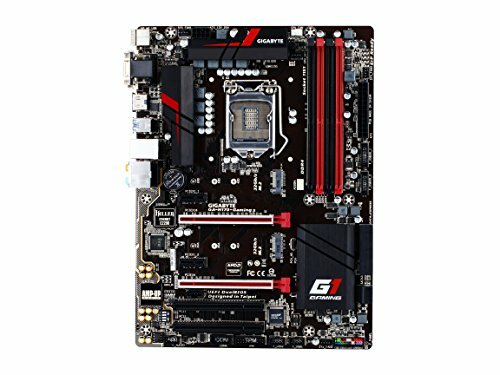 This is something I wish more motherboard manufacturers would embrace and I was shocked that my $85 board included this; well played Gigabyte! 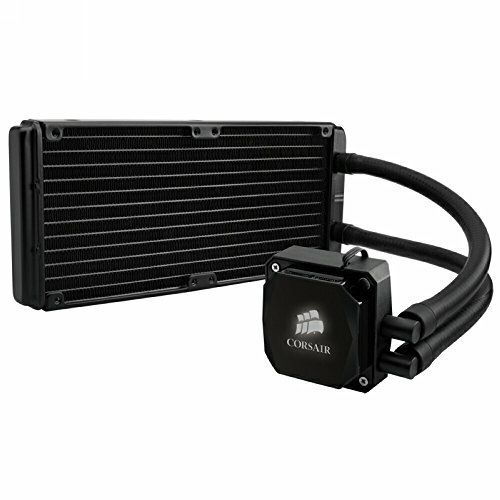 As soon as I selected this case I knew that I wanted to go with an AIO liquid CPU cooler as my go-to air cooler (Hyper 212 Evo) is nothing special to look at. I had a lightly used H100i sitting around so I decided to use it in this build. I know that the H100i is overkill for a locked CPU but I love the cooler temps and low noise. For my color scheme I went with black/red which I know tends to be overdone but it is the easiest color scheme to find matching components for. If I could find quality components, I would love to go with a black/green build but maybe I will get to that down the road. I like how this Gigabyte board has a red light strip built right into it. Great CPU for gaming and video editing/rendering. Perfect match for H170 motherboards. I had this as a hold-over from a previous build and I have never had and issues with it. If I were to buy a new cooler I would look at the H100i Extreme. The updated Corsair Link software is much better than previous versions. I know this is overkill for a locked CPU but I am very picky about my temps and it looks great with my color theme. I go back and forth between G.Skill and Corsair memory but you can usually find this set for under $60 and that is hard to pass up. 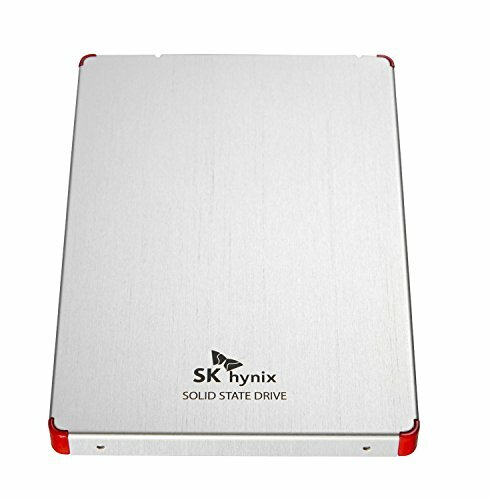 My "go to" SSD has been the Samsung 850 EVO but I stumbled upon this little gem on a newegg sale and decided to try it. After purchasing it I read a few articles that showed how close in performance this is when compared to the 850 EVO. I was able to get it at a much lower cost; so far I am impressed. I can honestly say that this is the best case I have ever built in and I have been building pcs for 15 years now. Cable management was a breeze and this case in incredibly solid. Having the side panel on swing out hinges is awesome. I would highly recommend this case to anyone; even first time builders. The price may seem a little steep but I can honestly say that you get what you pay for with this case. jonnyguru give this a perfect 10/10; need I say any more? So many people skip when it comes to selecting a PSU but it really is one of the most important components in the pc. EVGA has outstanding customer support and this PSU has an amazing warranty! 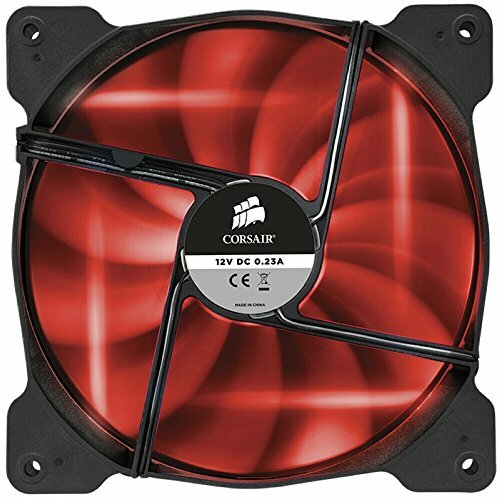 Like I mentioned before; I consider myself to be somewhat of a Corsair fan-boy (no pun intended) but I have used the AF and SP fans for a few years now and I have been happy with them for the price. If money was no object (and the fans were not visible) I would go Noctua all the way but these do the job and look great. Too bad you didn't go with a 6700k with that h100i. You could probably get some sick overclocks. Wow. I wouldn't pass it up either. What did your wattage come in at? Isn't 550 a little low? Not much overhead if you decided to SLI or step-up the processor. Didn't check the wattage but I don't plan to go SLI; I always prefer to go with a single card solution and upgrade more frequently vs. going SLI. With an h170 motherboard I am pretty much running the best locked (as h170 does not support over locking) CPU available in the Lga 1151 socket. This PSU is very solid so I am not worried about it. 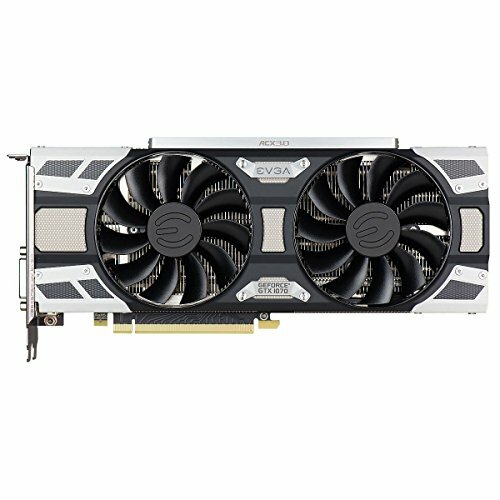 Pcpartpicker shows me at 370 watt so for this build 550 is plenty. I could even go with a gtx 1080 with this PSU no problem. I am often baffled by people that get 800+ watt psus with locked CPUs; no need. I would move the front intake fans up so their airflow is directly on the components usually requiring better cooling. In this case there are only 2 mounting options in the front when using 140mm fans (can use 3x 120mm fans) plus the lower mounting points push air towards my gpu. With the CPU being air cooled it doesn't need air blown directly at it; my temps are outstanding! Great build man. Our builds are almost identical if you want to check mine out (I have 6700K and Z170 mobo). I found the Phanteks Evolv case after I built my PC and now I want that case so bad. It is the nicest looking case I've ever seen. I am strongly considering buying one and trying to sell my case and rebuilding my whole rig just to have that damn case lol. Great build though! Also props to making it clean. The build I have posted is my first ever build and I tried to make it relatively clean. I really need to get a set of sleeved cables for looks. Currently piecing together a similar spec build. You've put together quite the attractive yet sleek case. Love the build. Hey Ryan, I love your build. Thinking about putting together my own following your exact specs. I did notice in the photo of the stack of boxes you have a corsair af140 and a sp120. But in the parts list you list 3 af140's. Were the two sp120s additional to replace the stock heat sink fans? I think the only things I am changing is substituting a intel 6700k and a 650W Supernova. Thanks for all your help! Everything arrived and it was an easy build. I went with the 650w Supernova G2 as you suggested. A+ on all the suggestions. Glad you posted this.